We talk about the various reports of different iPhone XS problems. iOS 12.1 is coming soon; what should we expect? We also respond to your comments and questions. We’ll talk about the various reports of different iPhone XS problems. iOS 12.1 is coming soon; what should we expect? 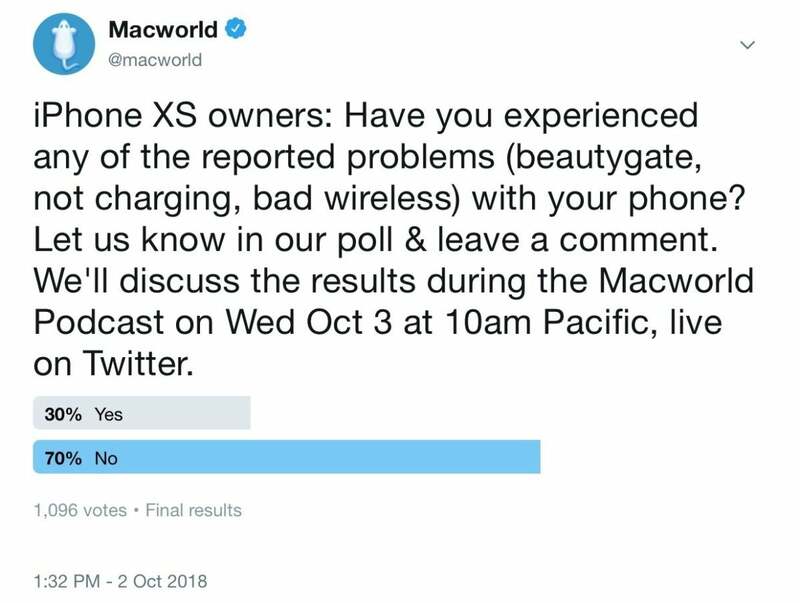 We also respond to your comments and questions for Jason Cross, Leif Johnson, Roman Loyola, and Dan Masaoka in the Macworld Podcast, episode 624.
iPhone XS owners: Have you experienced any of the reported problems (beautygate, not charging, bad wireless) with your phone? Here are the results of our Twitter poll.